Save the fighting for the ring. It shouldn't be a battle to gain ticket sales! 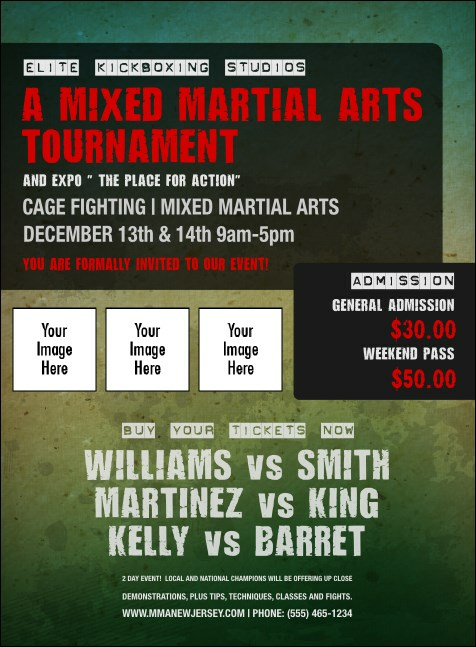 The Contemporary Mixed Martial Arts Invitation makes it easy to connect with potential event attendees. Share the details of your event with a fresh, professional design with room for up to three images on the template, and plenty of space to for your custom text. TicketPrinting.com keeps your event at the top of its class.